There have been a number of discussions on the reprap forum (1,2,3 for starters) about the effect of electrical noise causing hanging/freezing on the Duet board requiring reset attributed to this. 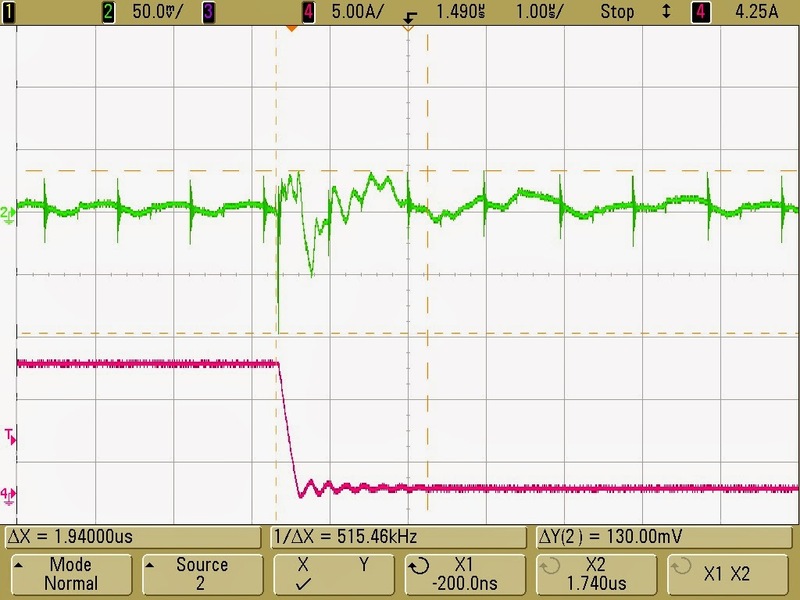 Radian originally highlighted that a significant spike on the 12V line was caused by the switch of of the Heated Bed FET could be the cause. We have done quite a bit of investigation now into this particular effect, its causes and options to reduce it which is covered below. All the scope plots were recorded by Andy, one of the Duet designers. 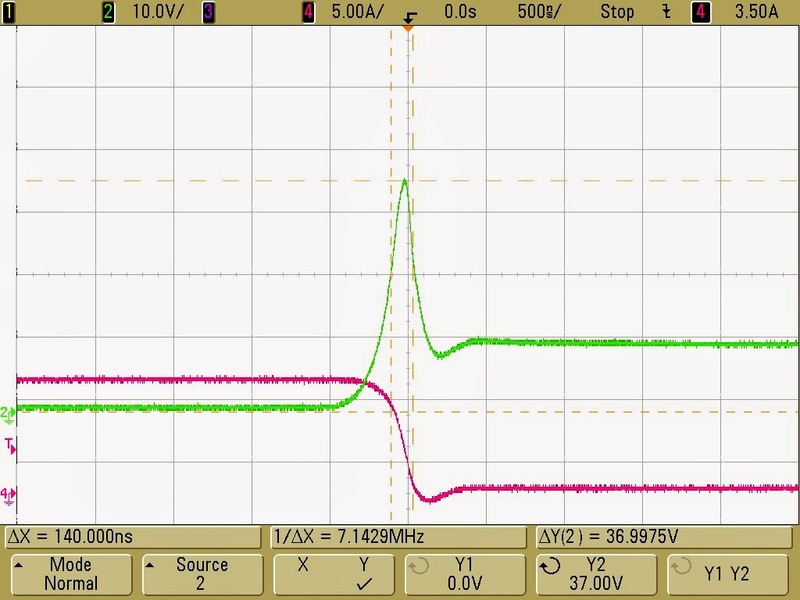 Throughout the green trace is the voltage under investigation and the purple trace is the heated bed current. 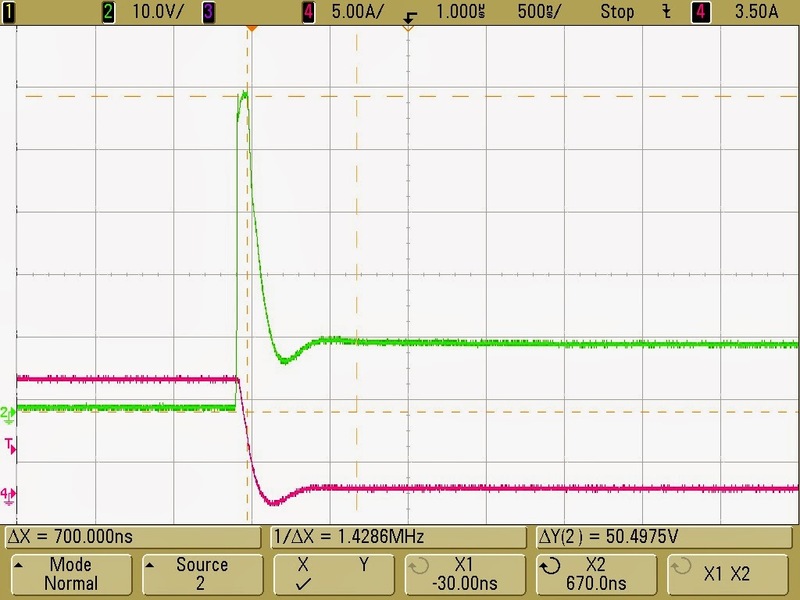 Due to the fast switch off of the MOSFET, combined with the inductance of the PCB heatbed (average measurements 1uH) there is significant ringing (47.8V pp). The FET is avalanching at that point. 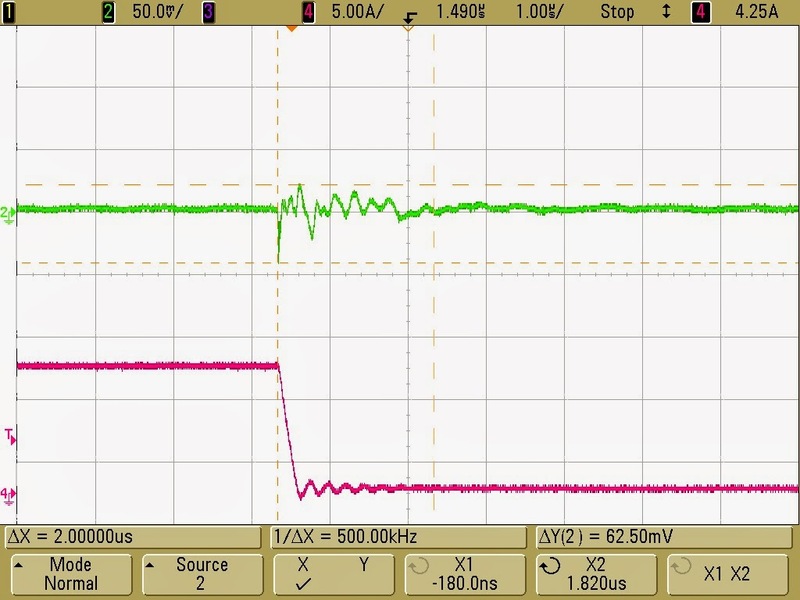 This noise is relatively local to the MOSFET though, at the 12V input connector it is down to 750mV pp. 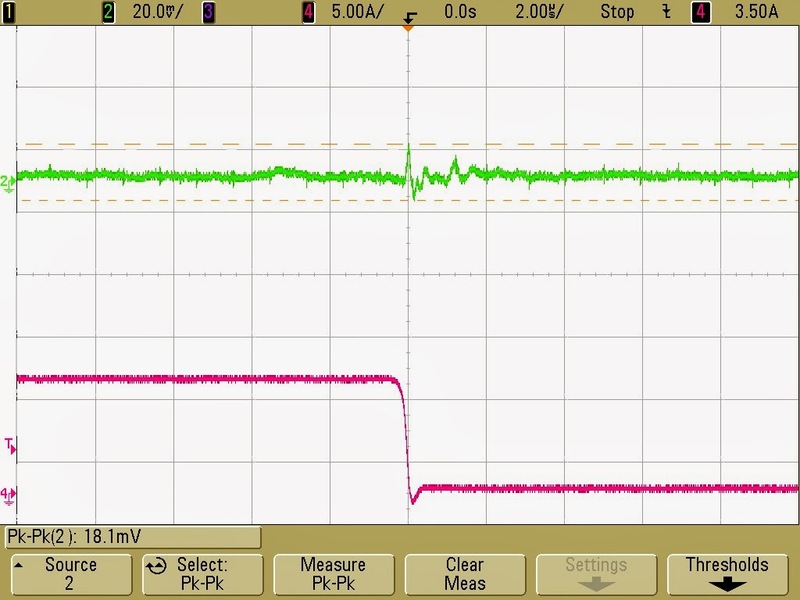 Once through the buck DC-DC convertor on the 5V line the noise is down to 130mV pp. 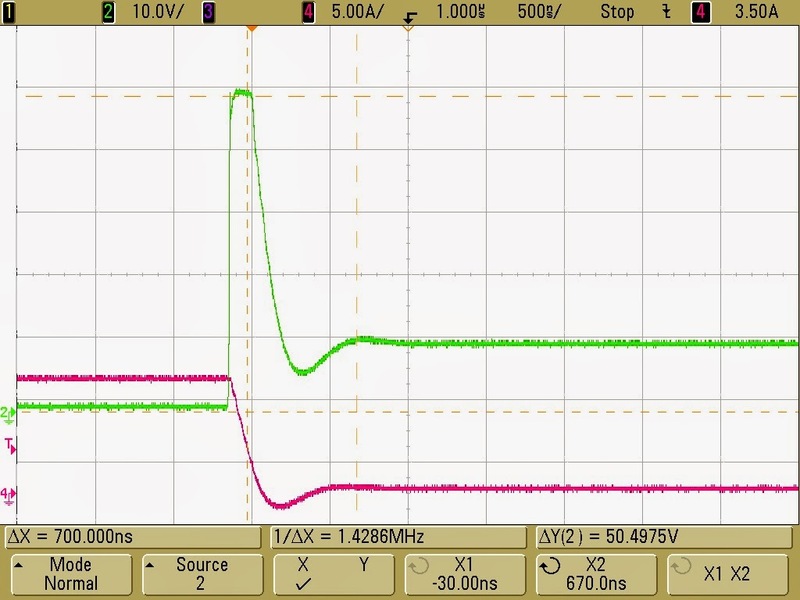 At this point the 3.3V is further filtered and converted onboard the processor to 1.68V. Some of these ideas have come form suggestions on the RepRap forums - thanks for the input! 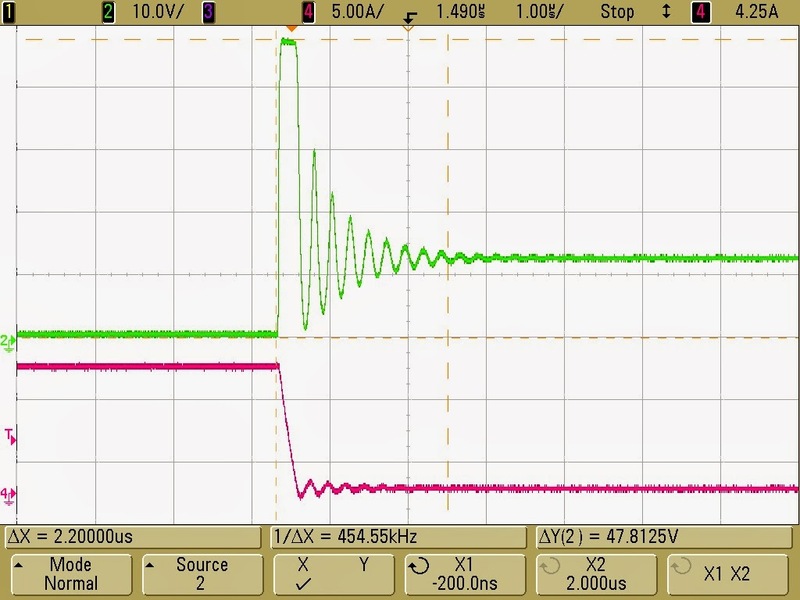 Our assessment at this point is that the 12V spike caused by the heated bed switching is not, in of itself, causing any negative effects to the Duet processor. In addition the avalanching causes minimal additional heating to the FET when "Bang, Bang" switching or low speed (<1KHz) PWM is used. 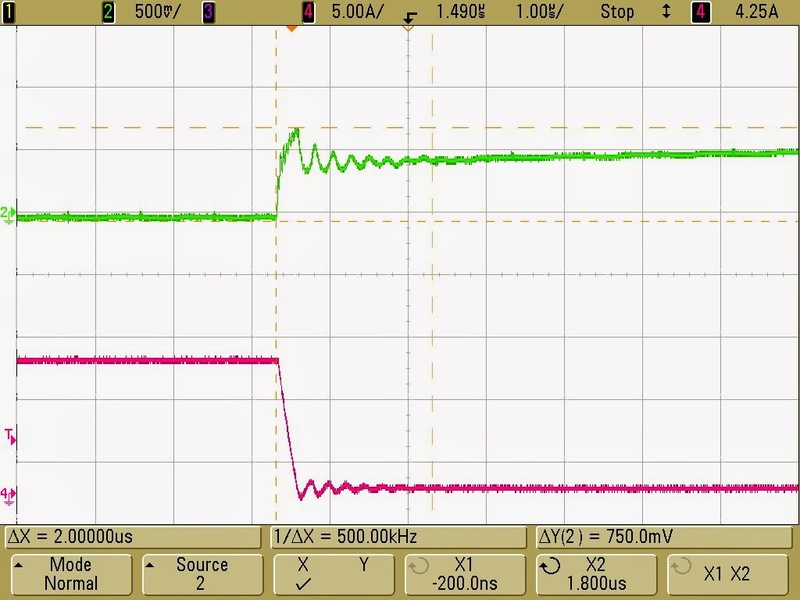 High speed PWM is bad due mainly to the slow turn on time which causes significant heating. More investigation is needed into the effects of USB ground loops which may be causing some issues. Other USB noise can also cause problems, the investigation by markbee, posted on the forums is a very useful starting point. The firmware is being continually updated (special thanks to dc42 for all the work he has already done). This has already fixed some causes of Duets hanging so make sure you are using the most up to date firmware if you are having issues. I must again thank everyone who is contributing so much on the forums! HI Sasha, you can filter the incoming power line if you are concerned about the transients getting back onto the main power, I find that the ATX PSUs we use are good enough as filters.